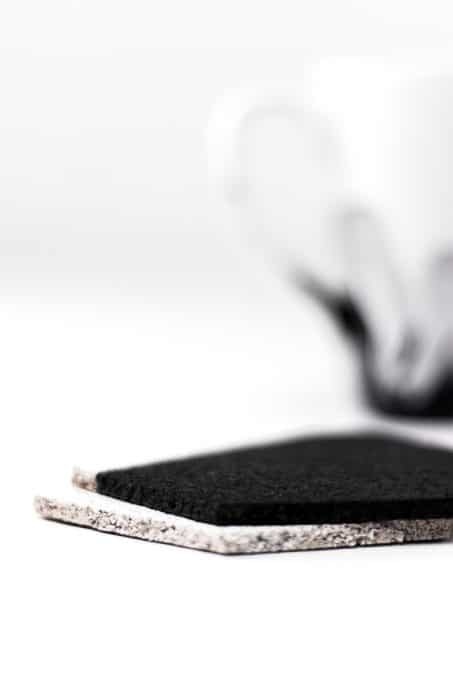 Make these homemade cork coasters to protect your table. This modern geometric design can fit any style with a different cut or color. 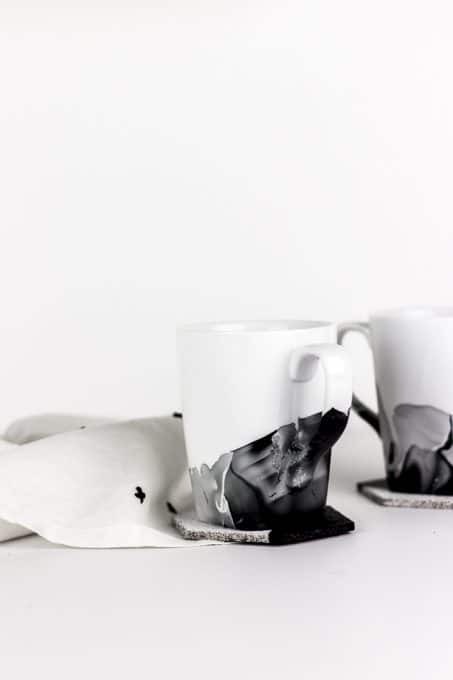 This is such a simple project I feel funny even writing it, but sometimes you just need some new coasters and don’t want to spend a chunk of money when you can just make some simple ones that match your home decor style perfectly. 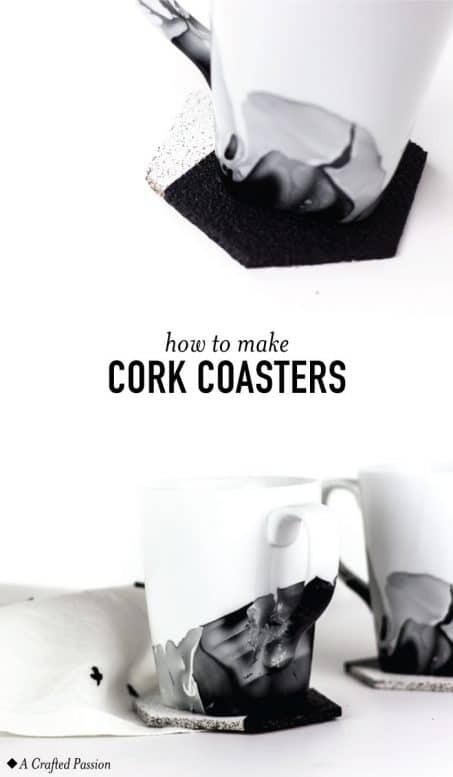 Once I made the marble mugs, I knew we needed some coordinating cork coasters. First, you need to cut out your stencil and tape it to your cork. Tape your stencil in one corner to limit the amount of cutting you have to do. 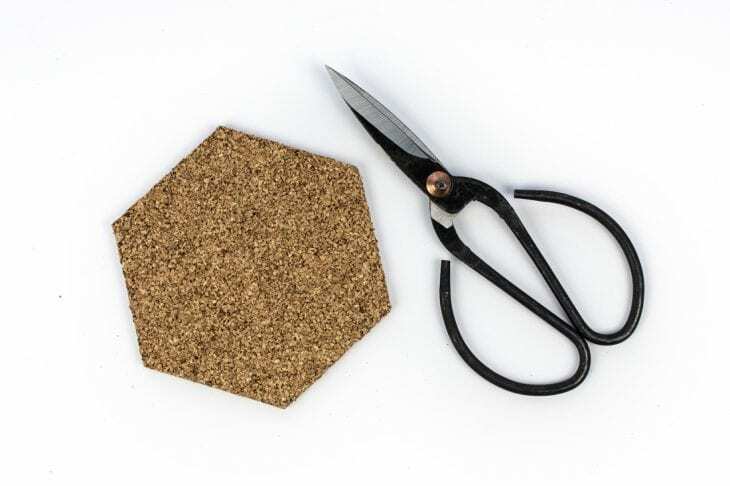 I tried cutting cork with regular scissors and an exacto knife and honestly I didn’t notice a big difference between the two. The cork coaster ended up being 4.25″ at it’s widest point for reference. 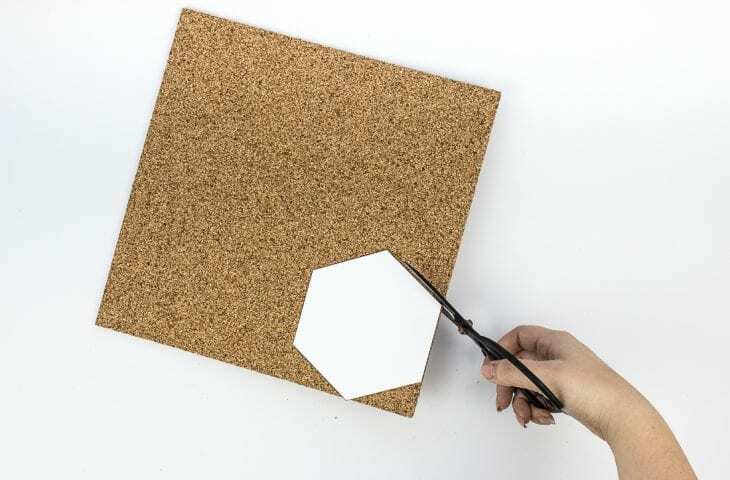 Now, paint your cork white. 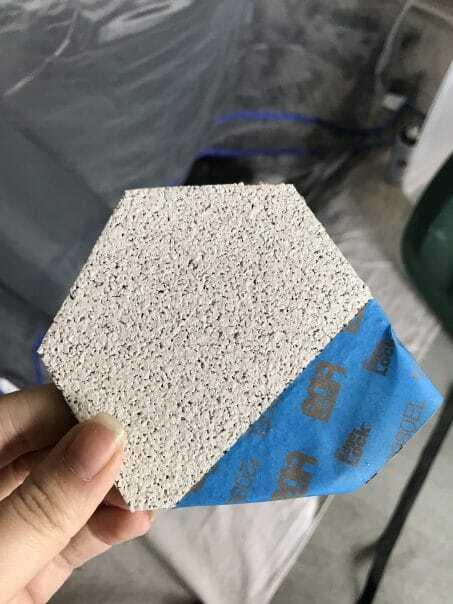 You can either use spray paint or regular craft paint and a foam brush. I tried both and I like the spray paint better because it tends to get in the small crevasses a little bit better. 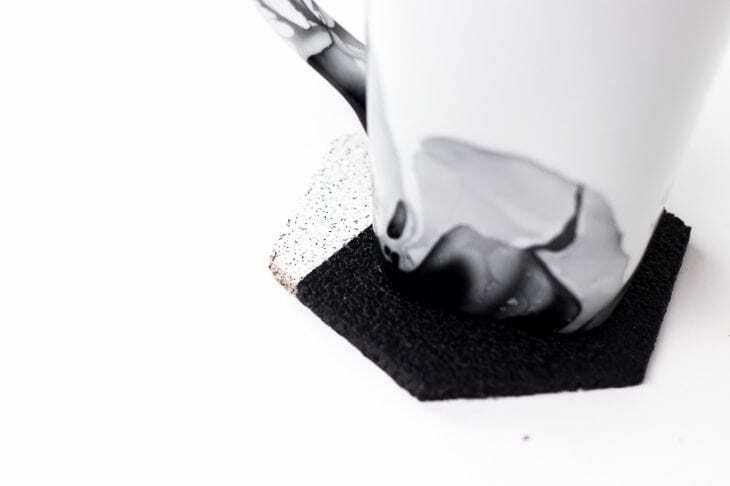 Once the paint has dried, place a strip of painter’s tape at an angle on the cork. Make sure and seal the edge down well on the top and sides with your fingernail or a straight edge so the black paint won’t seep in. Now, all you need to do is spray your cork with black, remove the tape, and let it dry. I love how simple these cork coasters are. If you want to make them a little more resistant to spills, you can spray them with a few coats of this clear acrylic sealer. I like the simplicity of these coasters, but you could also do different shapes like a square, circle, or triangle with different colors to match your style. What do you think of these cork coasters? Which color would you do? Before you go, check out these similar projects! I think you’ll love them! 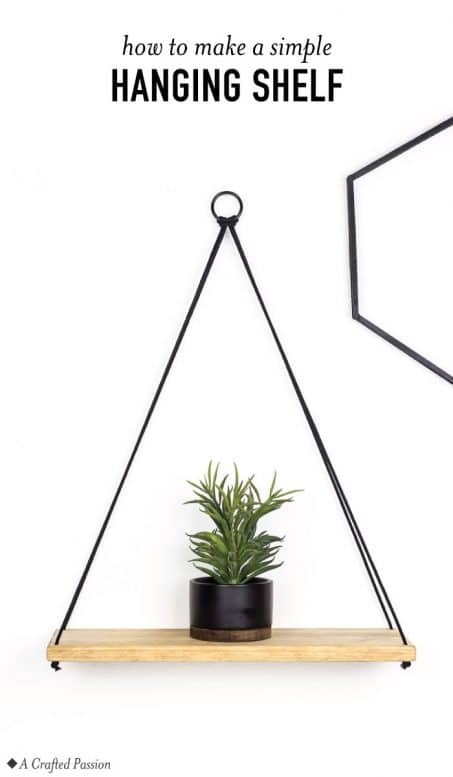 Make a simple hanging shelf out of wood. This easy DIY idea looks great on your wall for storing little decor items in your home. 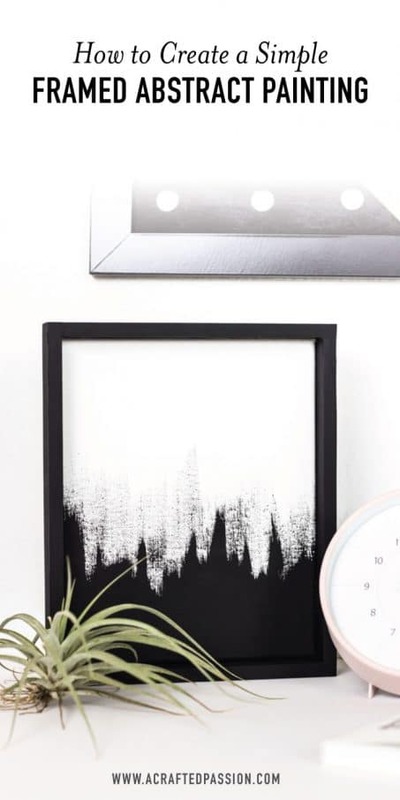 Create an easy abstract painting on a canvas with this simple DIY idea. It’s seriously so easy and looks great in your home.